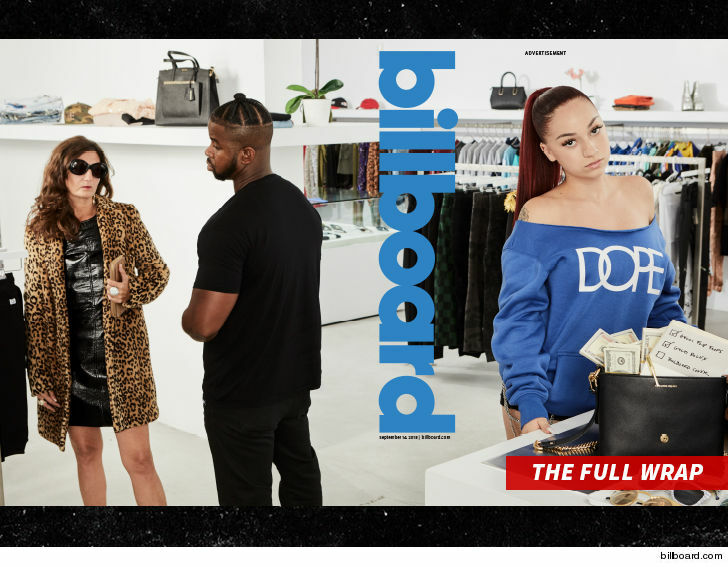 Danielle Bregoli is bragging about her paid advertisement wrap on the upcoming issue of Billboard … telling us it’s a message to her haters. We got Bhad Bhabie Thursday in Los Angeles and the rapper tells our photog she bought the cover to tell “these f**king old hip-hop people” she’s in the rap game for good. Danielle isn’t trying to hide the fact she dropped some major cash on the paid ad … it’s spelled out pretty clearly … peep the shopping list poking out of her purse. Danielle is mum on the cost of the ad, but sounds like it’s in the same ballpark as her $45k bling. ﻿As for the actual cover … Danielle explains why she’s not sweating featured artist Lil Wayne.